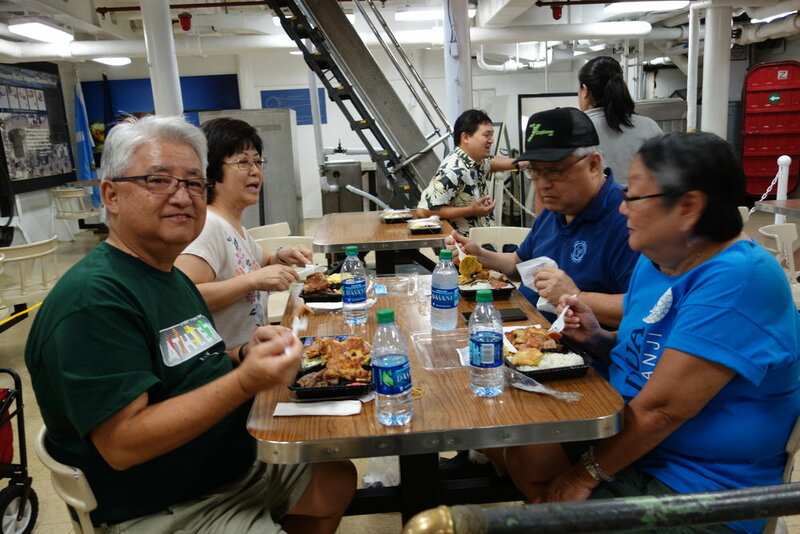 Mahalo for joining us at the Taste of Hongwanji 2019 at Honpa Hongwanji Hawaii Betsuin. 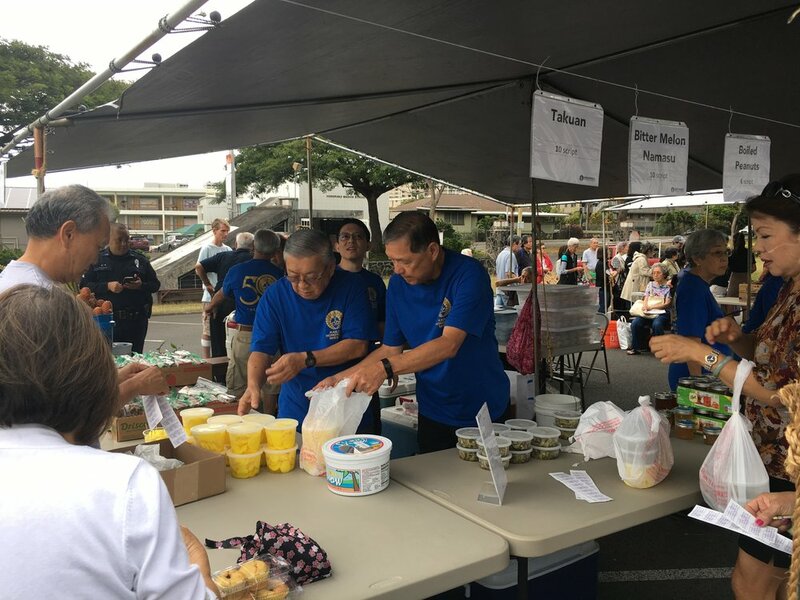 Our booth featured our homemade takuan, bitter melon namasu, manju, mochi cupcakes, and boiled peanuts. 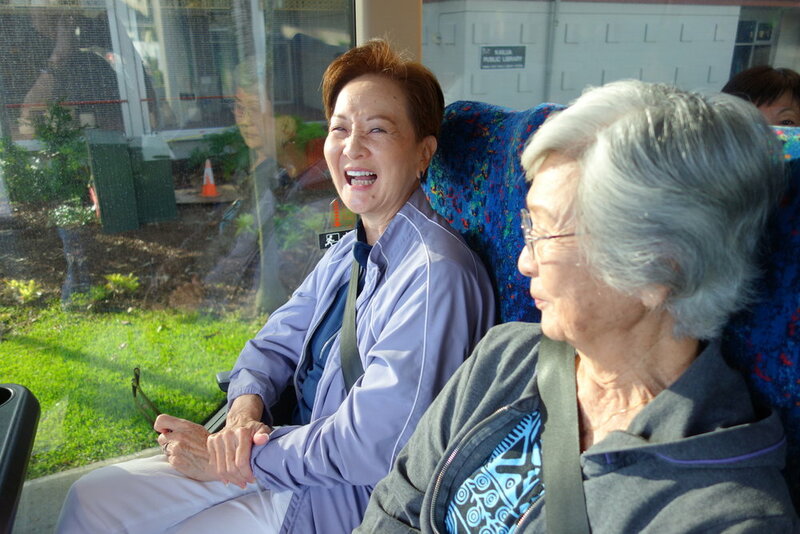 We also had handmade crafts including photo cards, fabric cards made from old kimonos, and pillow cases. 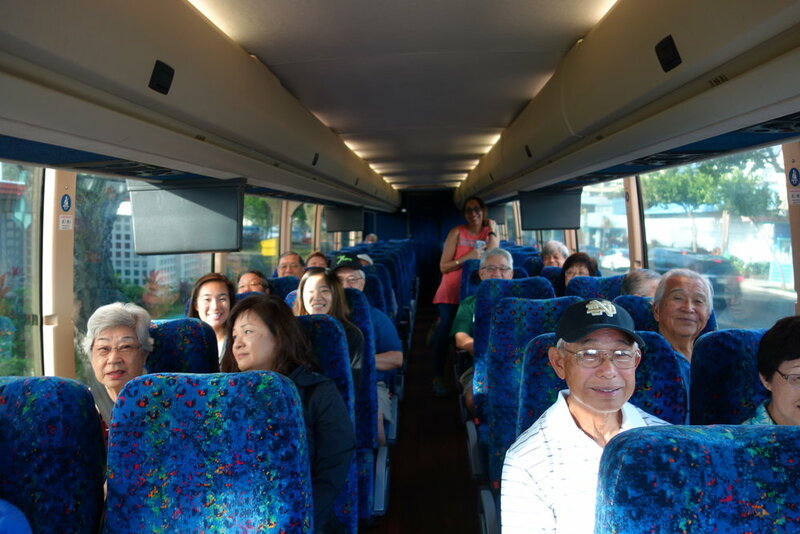 We completely sold out! 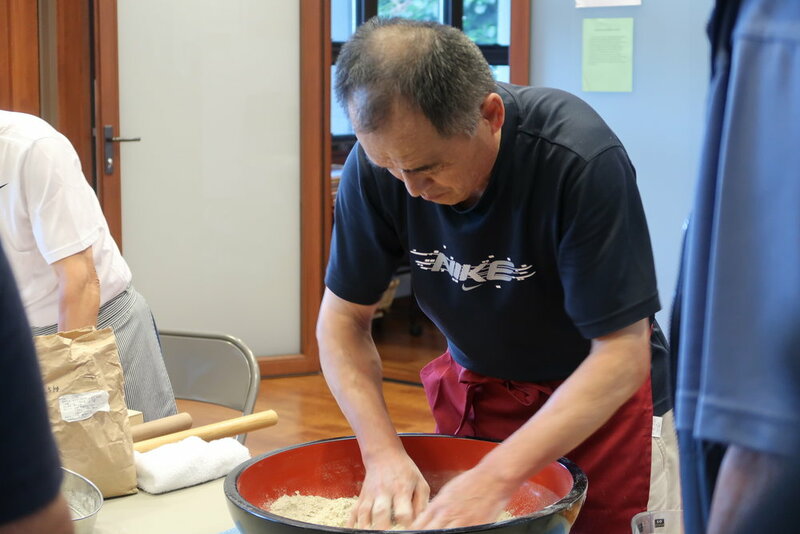 We welcomed accomplished soba makers from the Fukui Prefecture of Japan, who demonstrated the art of making the noodles from scratch. 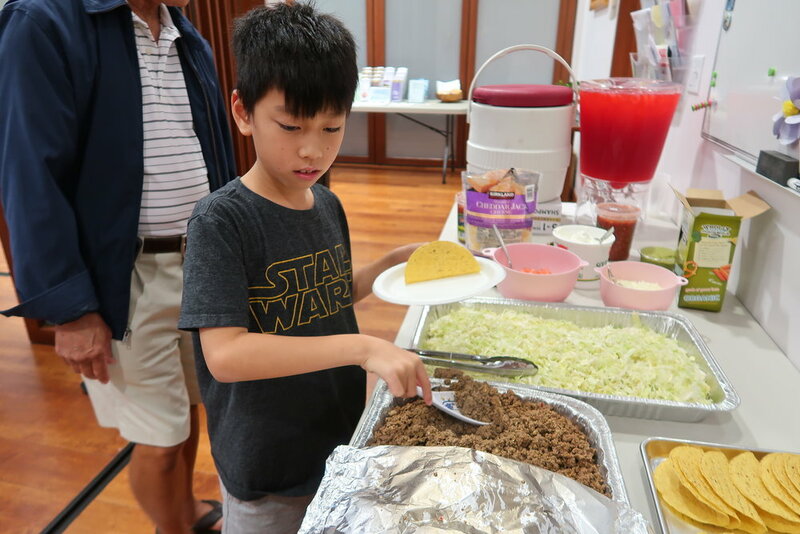 We held a Dinner & A Movie Night on November 11, 2018, featuring the movie Coco, which was the subject of one of Joy’s Dharma Talks. 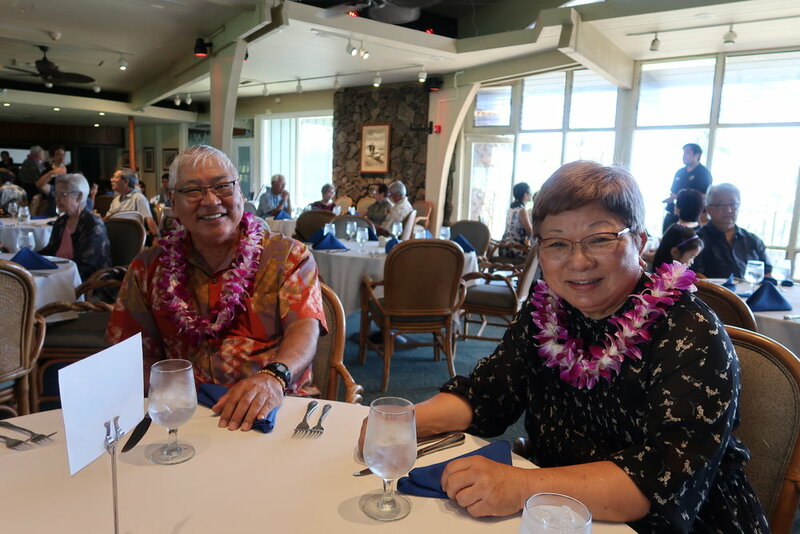 After our 50th Anniversary Service at the temple, we celebrated with a luncheon at Mid-Pacific Country Club. 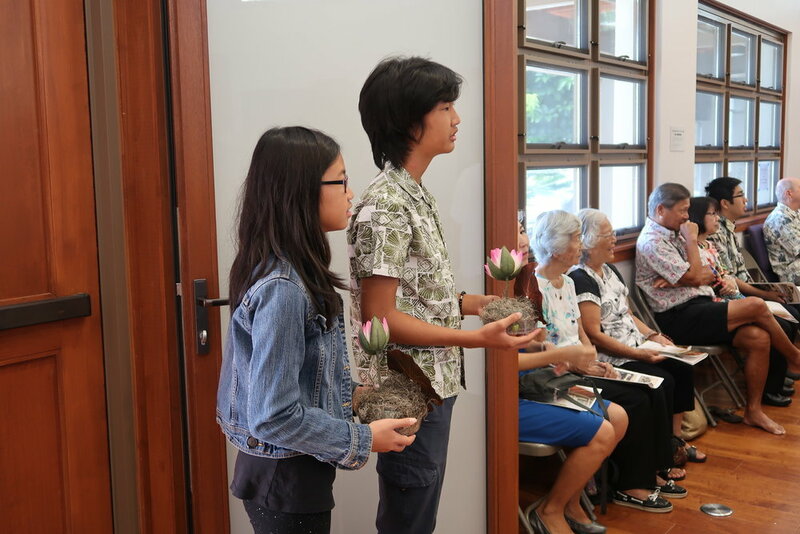 Old photos and albums from the archives were on display for members to reminisce upon. 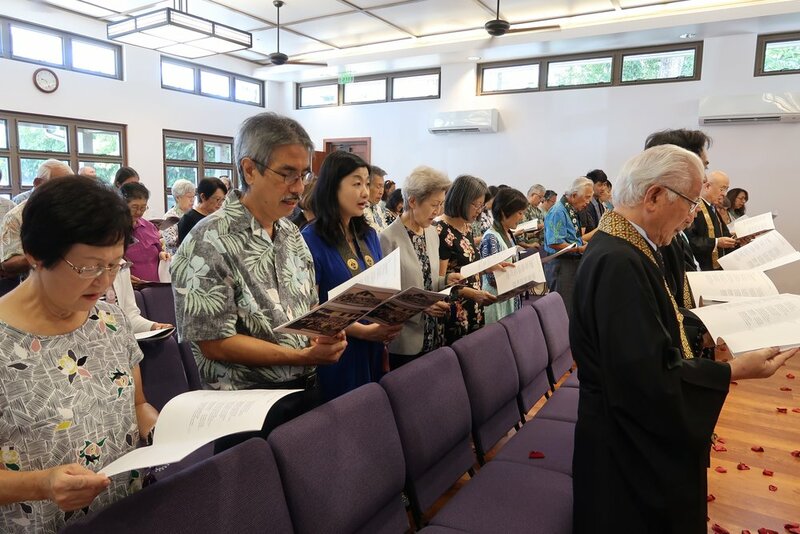 Congratulatory messages were read by Bishop Eric Matsumoto and Pieper Toyama, President of Honpa Hongwanji Mission of Hawaii. 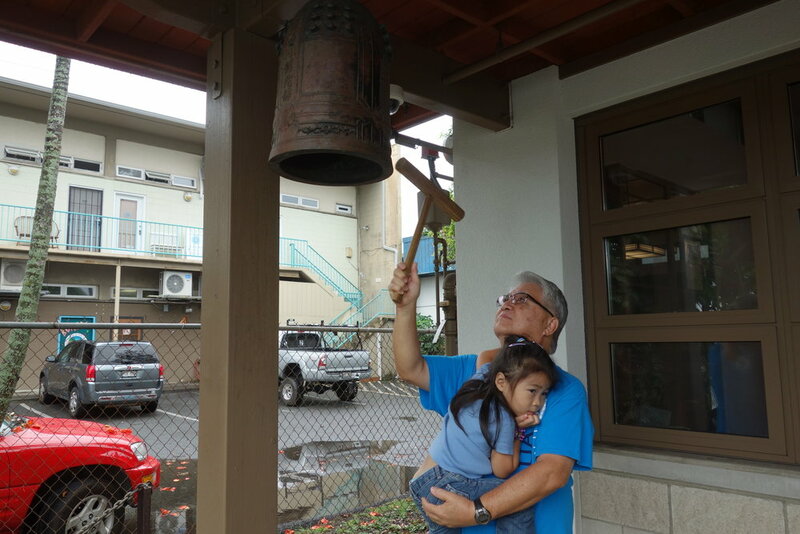 This was followed by a special video produced by Joy & John Nishida, Joshua Chang, and Neil Yamamoto. 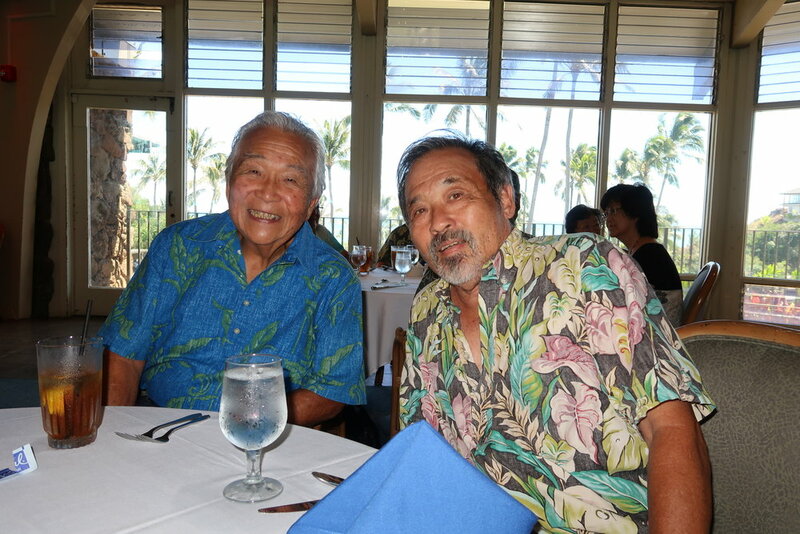 The video can be viewed by clicking below. 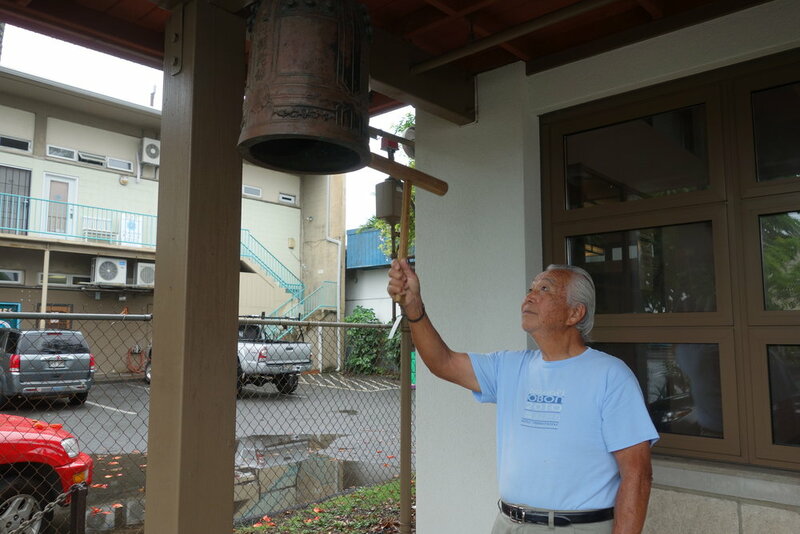 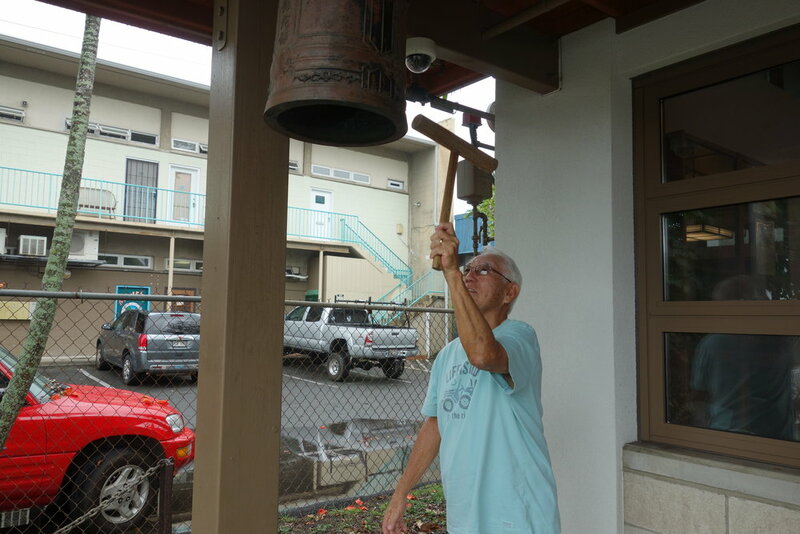 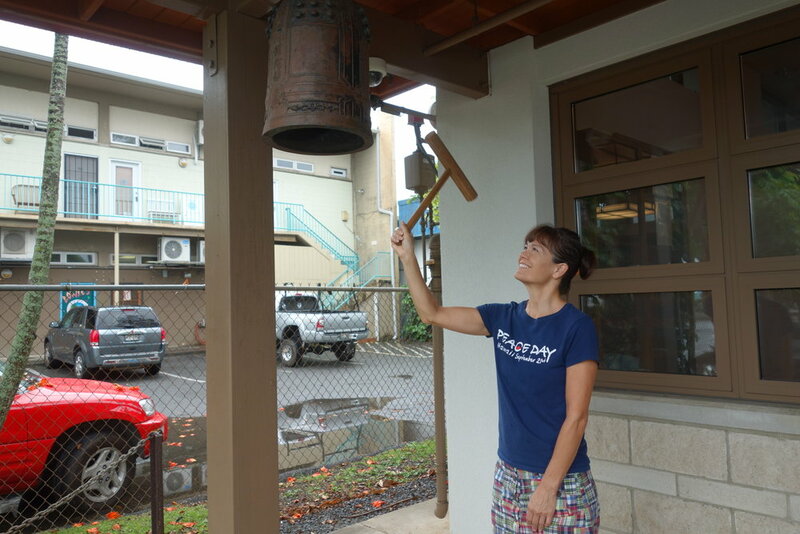 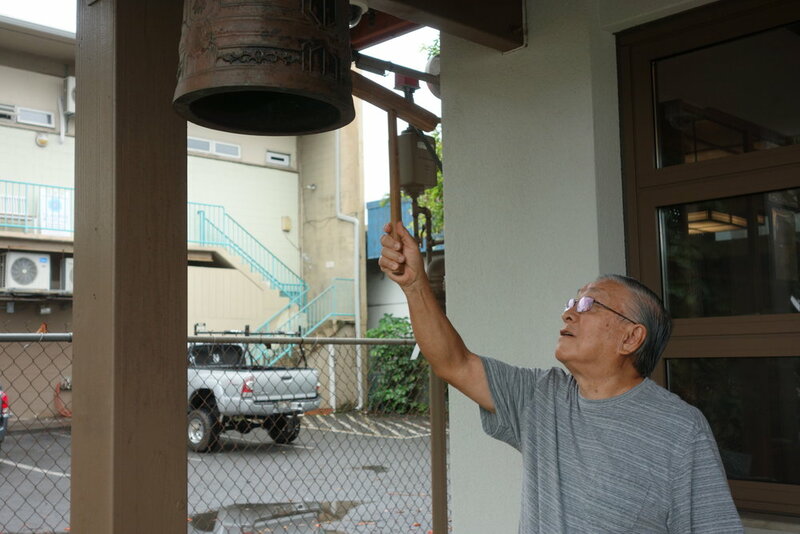 On August 10, 1968, Kailua Hongwanji Mission became a full-fledged, independent temple of the Honpa Hongwanji Mission of Hawaii. 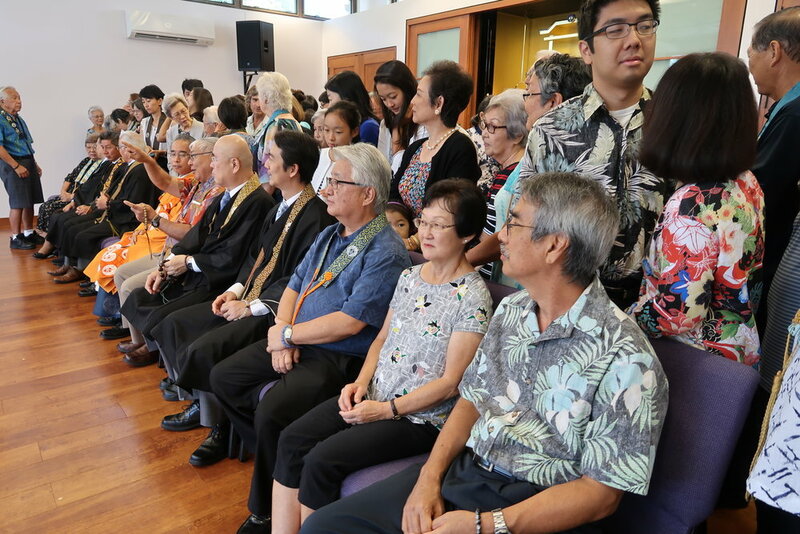 Fifty years later, we celebrate accomplishing many of the goals our predecessors had, including replacing the former temple, a repurposed home, with a modern, multi-purpose building that serves the membership and the broader community. 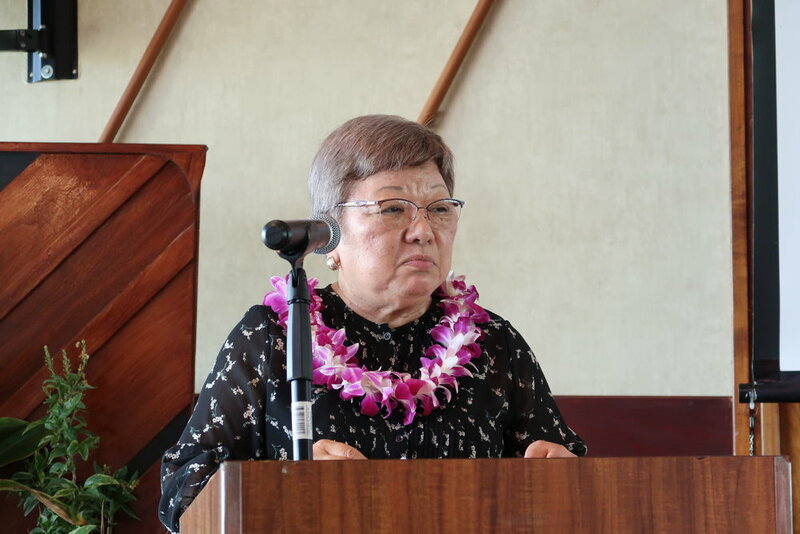 We held a special service on September 9, 2018 to celebrate Kailua Hongwanji Mission's 50th anniversary. 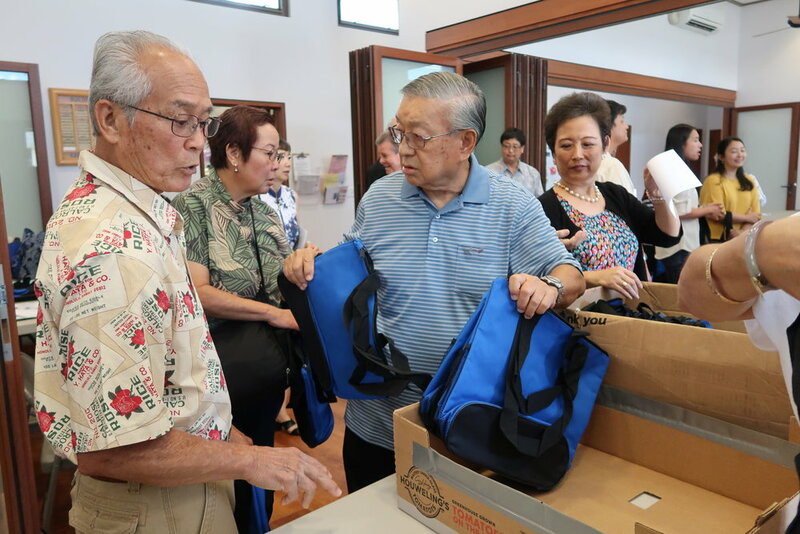 We were honored to have in attendance Bishop Eric Matsumoto; Pieper Toyoama, President of Honpa Hongwanji Mission of Hawaii; and several past KHM resident ministers and Kyodan presidents. 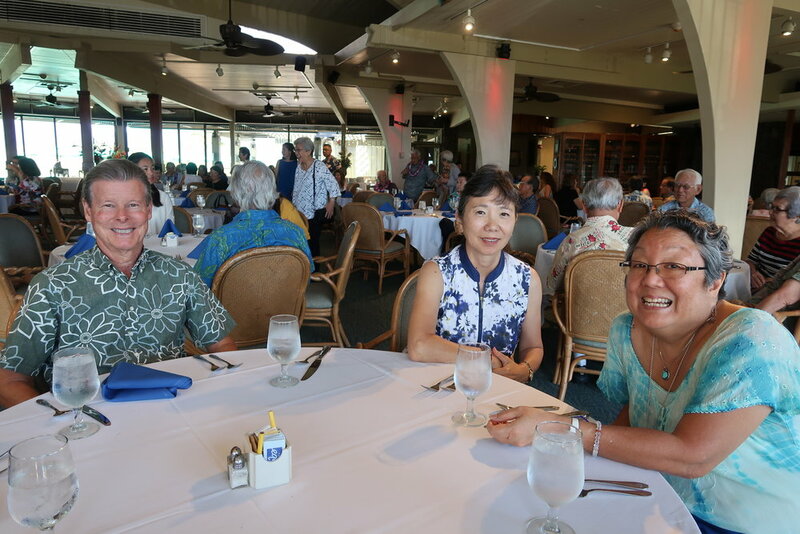 Everyone in attendance also received a special 50th Anniversary program and a logo gift. 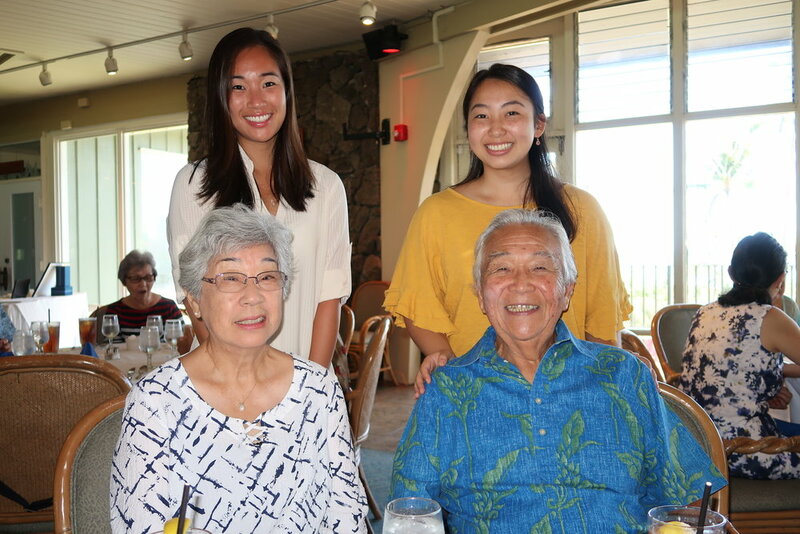 After the service, we took a group photo (thanks Josh Chang for squeezing us all in without any hidden faces) and proceeded to a luncheon at Mid-Pacific Country Club. 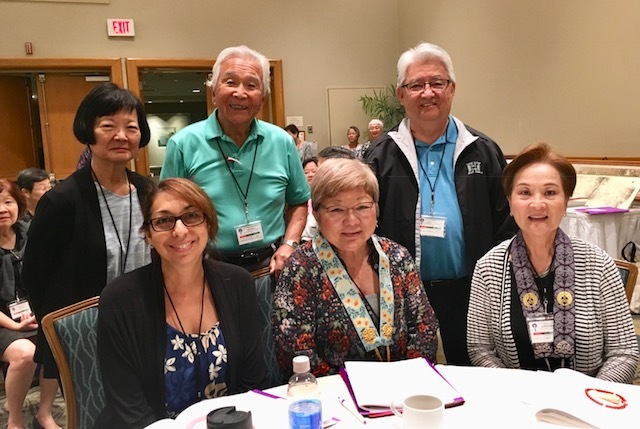 Kailua Hongwanji at the First Joint Conference at the Ala Moana Hotel from September 1 to 3. 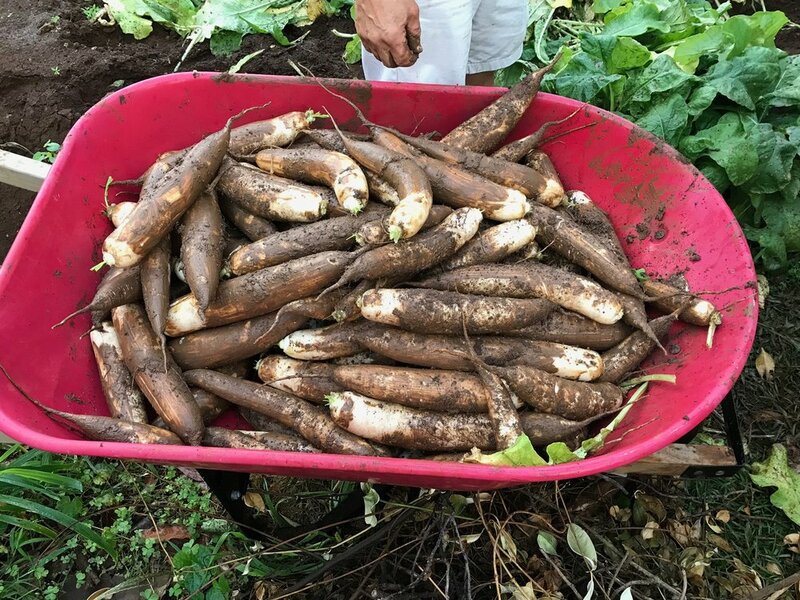 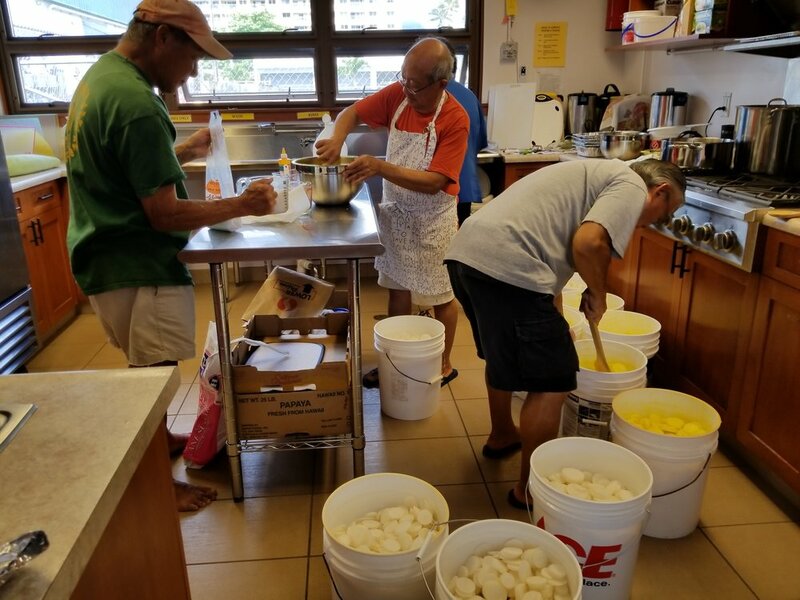 Kailua Hongwanji Mission temple members gathered to prepare takuan (pickled daikon radish). 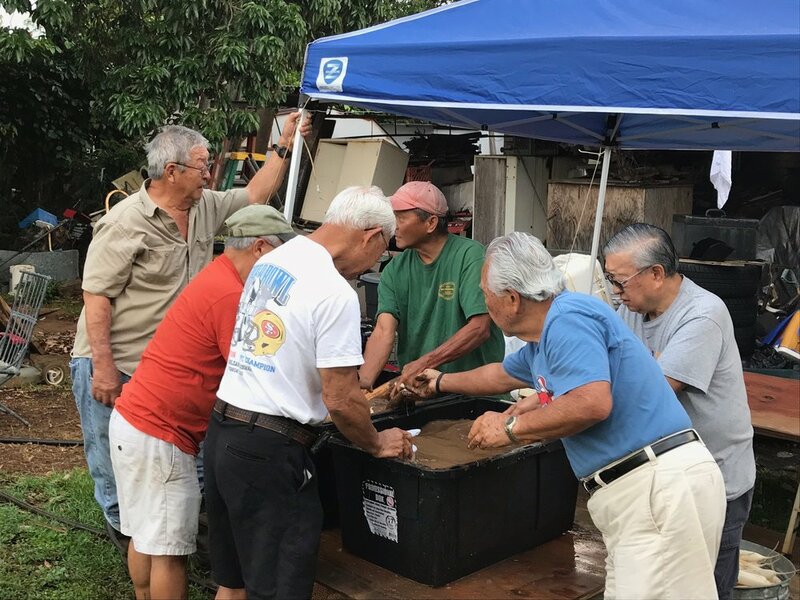 The takuan will be available for purchase at the Taste of Hongwanji & Spring Bazaar on Sunday, March 25, 2018 at the Hawaii Betsuin. 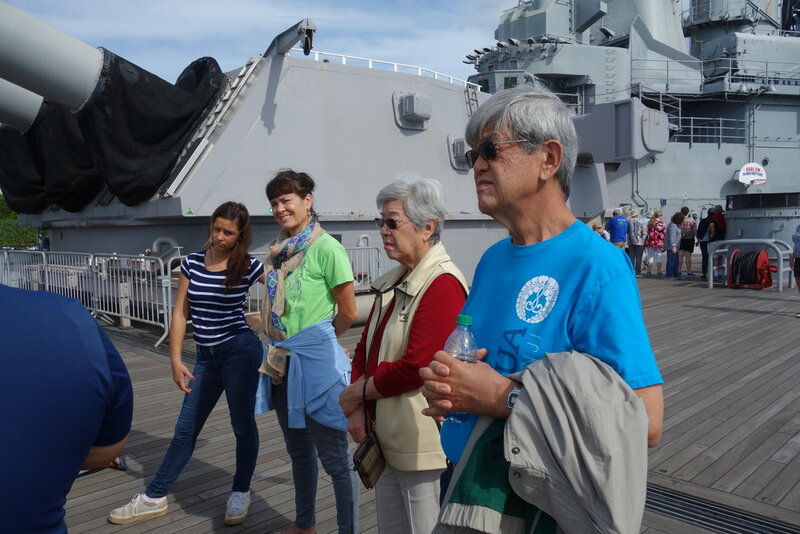 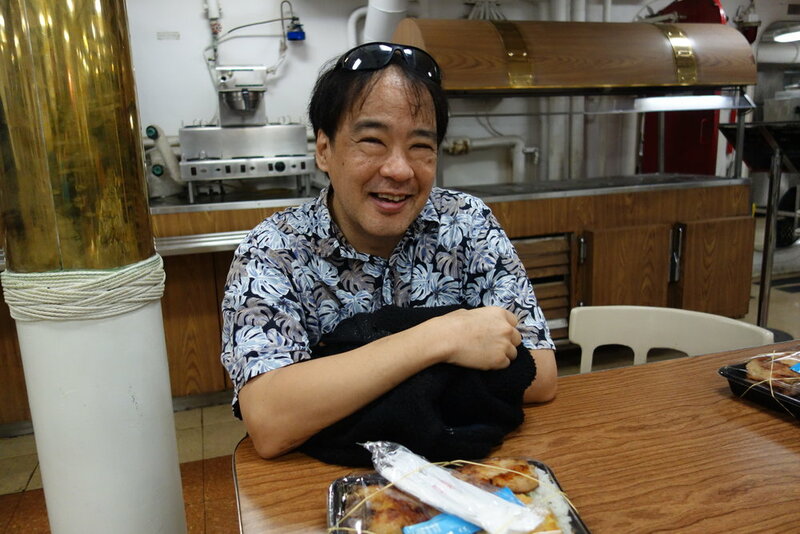 On January 28, 2018, Kailua Hongwanji visited the Battleship Missouri Memorial. 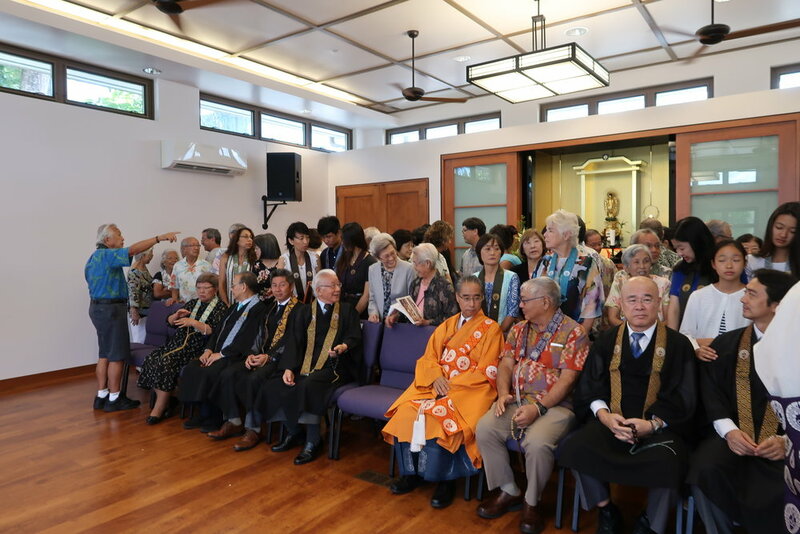 Organized by the KHBWA, the tour included temple members and families. 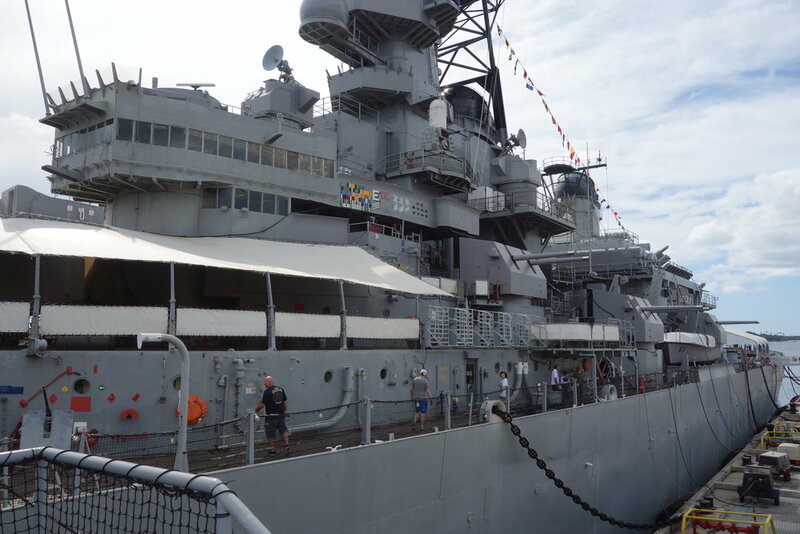 We learned about the rich history of the battleship that played an important role in World War II. 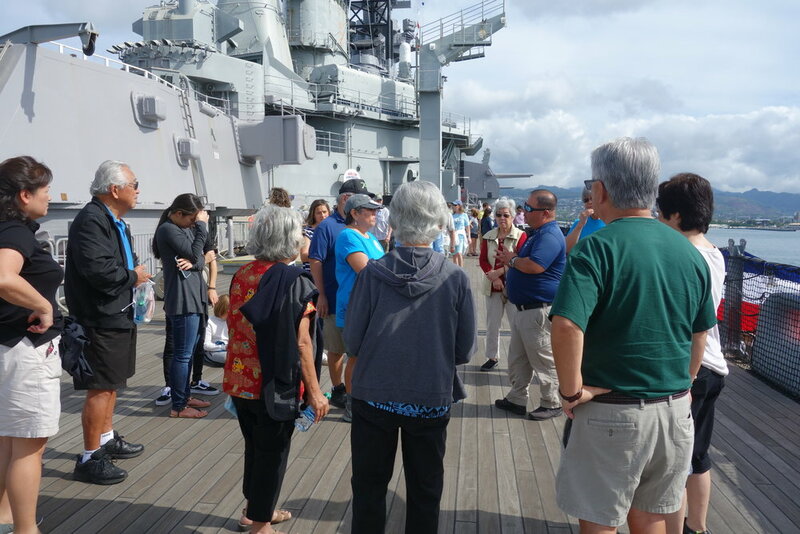 Neil and Jack were our very knowledgeable guides for the tour, recounting the history of the Missouri and the end of World War II on the Surrender Deck. 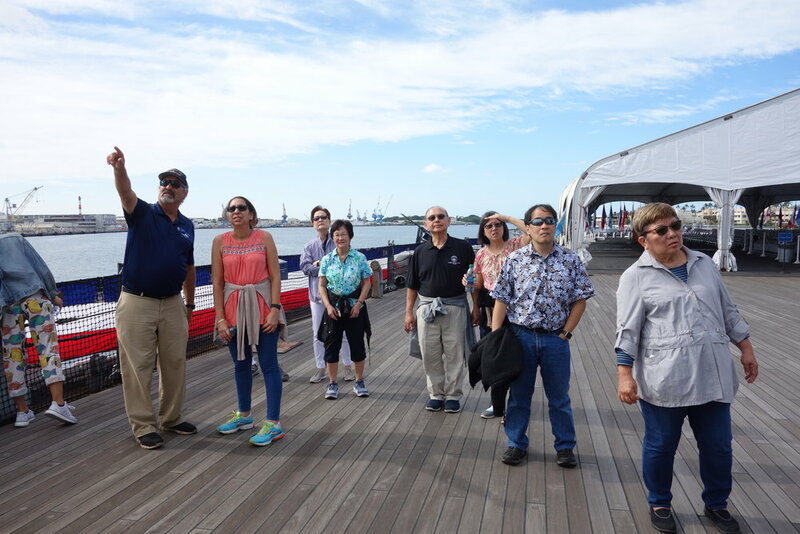 We learned about the kamikaze pilot who crashed into the starboard side of the Missouri and the compassionate actions of Captain Callaghan, who ordered an honorable burial at sea for the enemy pilot whose body was found amid the wreckage. 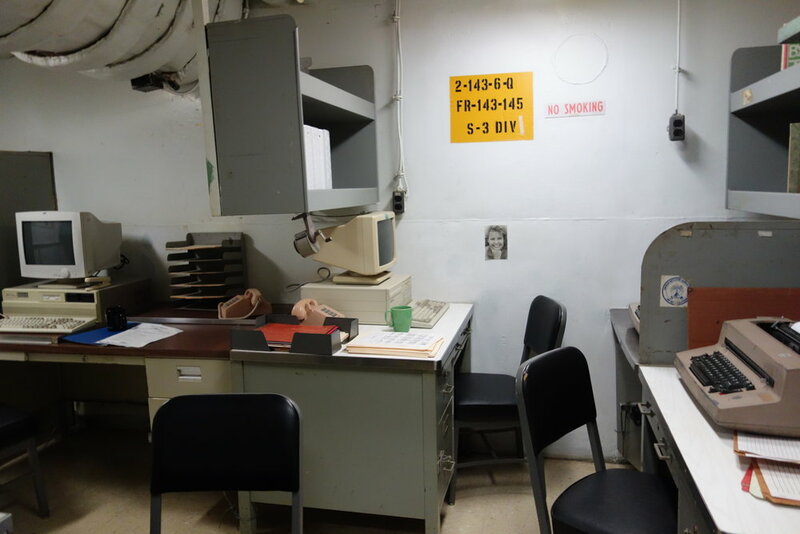 The Kamikaze exhibit, gave us a glimpse into the lives of the kamikaze pilots. 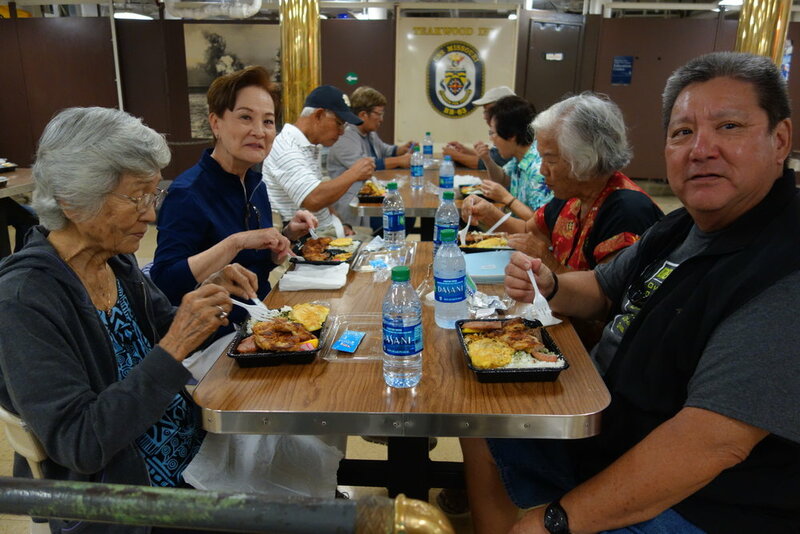 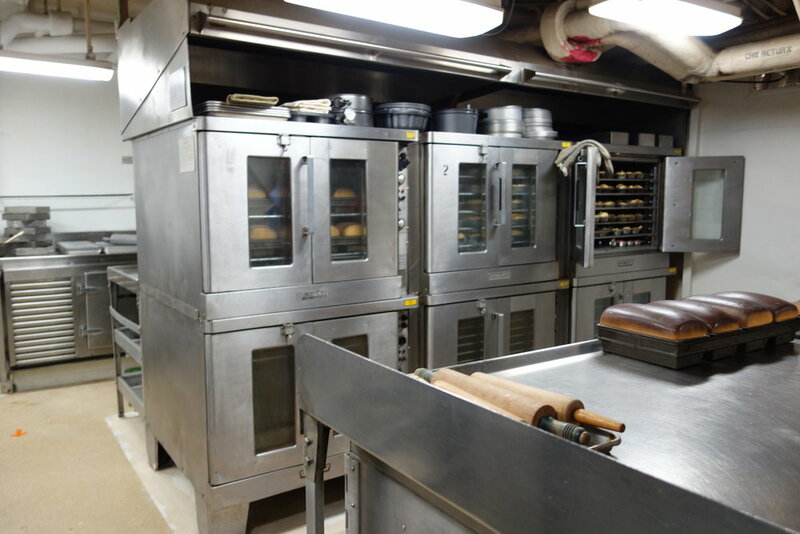 After a bento lunch in the mess hall, we toured the kitchen and living quarters beneath the deck. 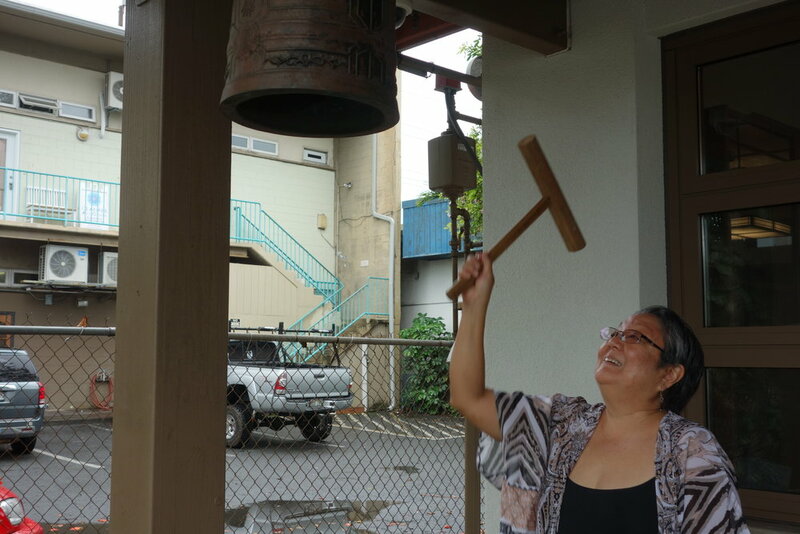 Kailua Hongwanji joined churches across Hawaii in honoring Queen Lili'uoklani, who passed away on November 11, 1917. 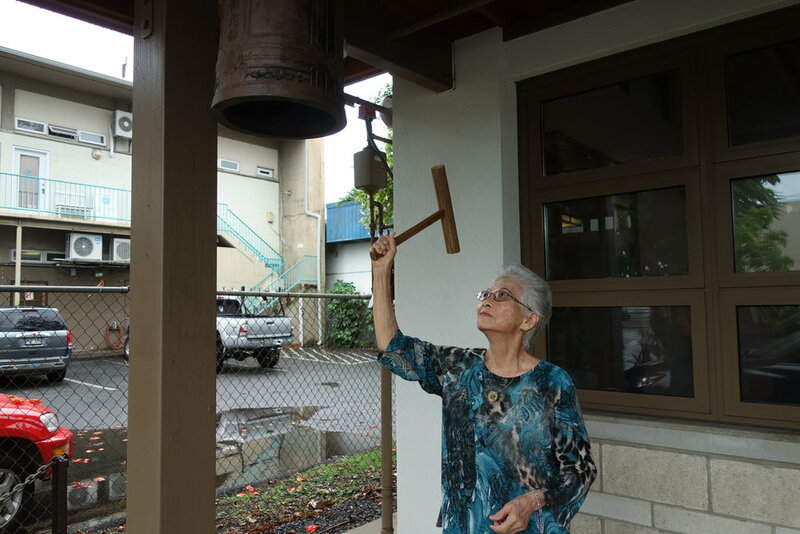 On the 100th anniversary of her passing, church bells statewide tolled 100 times in commemoration at 8:30 a.m.